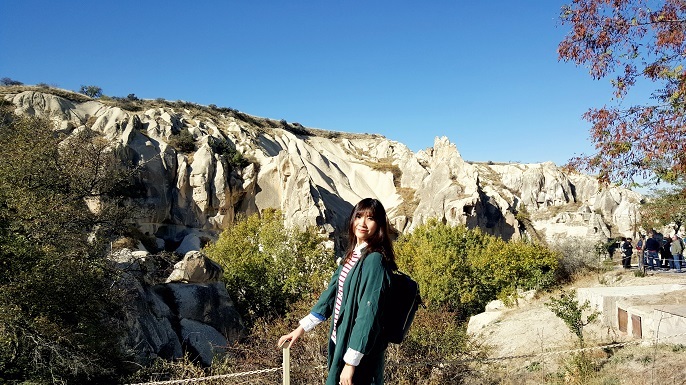 Cappadocia, is a very unique and beautiful place for me, because it sets in a distinctive volcanic-rock landscape which looks totally different with the other cities. 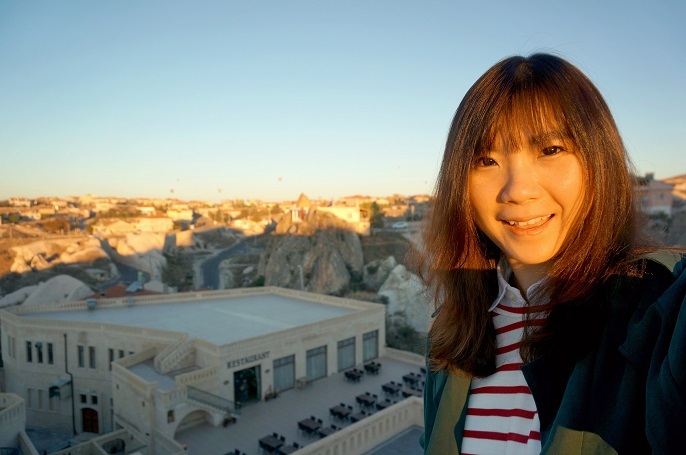 Not only for the beautiful view, Cappadocia also known as one of the best place to fly with hot air balloons. I know it's a big shame that I didn't take the ride due to the latest exchange rate US Dollar to Malaysia RM. It costs USD250 which was about RM1000 for one person. 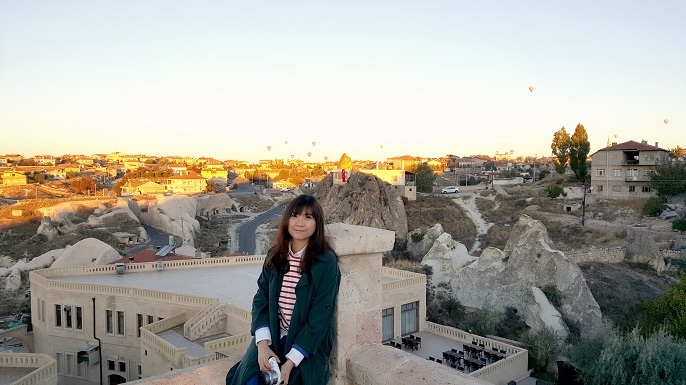 Btw, from the Burcu Kaya Hotel we stayed for two nights, we get to see the Hot Air Balloon gliding through the valleys from the roof top in the early morning. 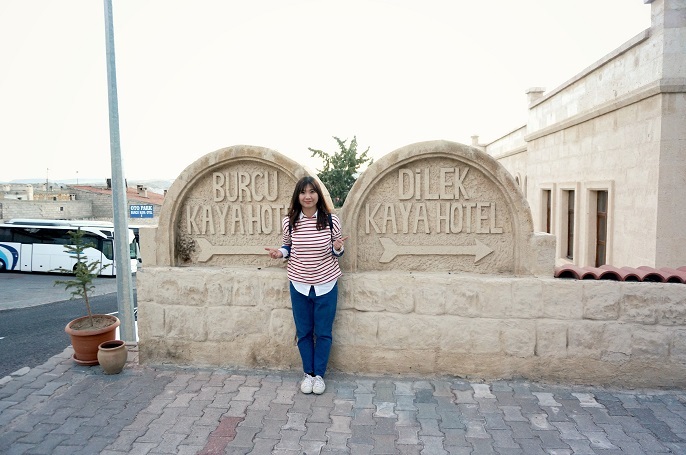 Burcu Kaya Hotel is very unique as I've never stayed at such hotel in my life before. 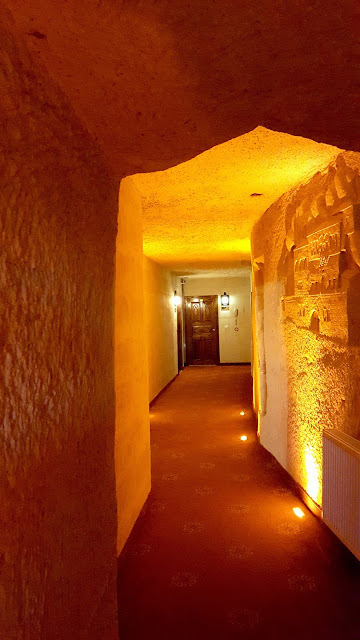 The design is very interesting as it was built with unique Turkish architecture and some people named gave a short name to it as "Cave Hotel". 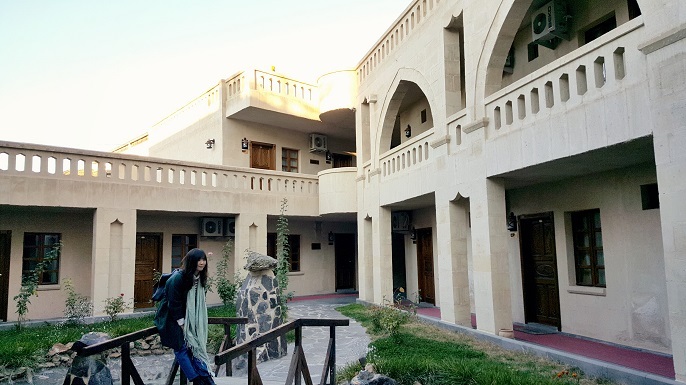 The hotel looks so special because each parts of the hotel is set up with stone walls and accompany with warm lighting. Besides, some corners have carved with some Turkish statues. 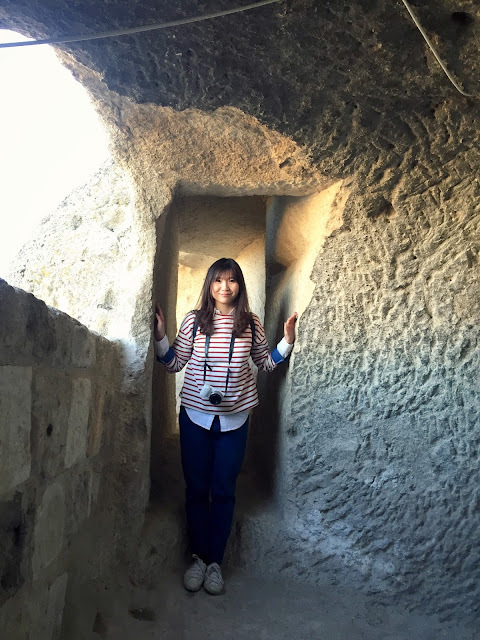 This is where you enter to the rooms, and even all walls inside the rooms are built with stones. From the roof top, you can have a good panoramic in the early morning. 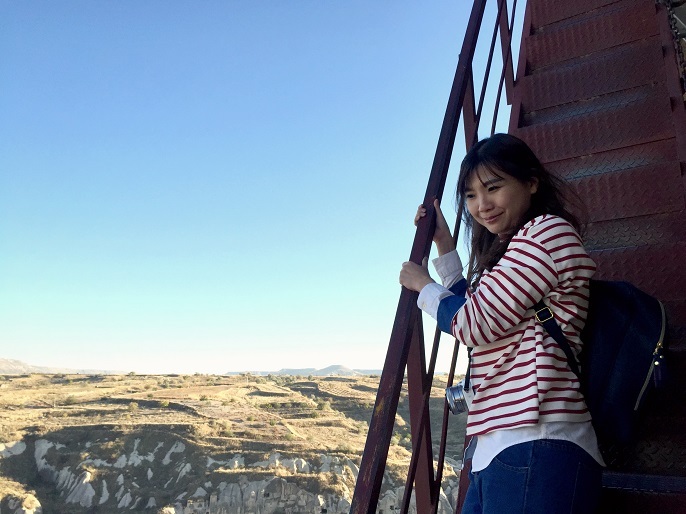 It's really a big bonus for us as we can easily have a great view of the surrounding. It's a large hotel which consists few buildings joining together. 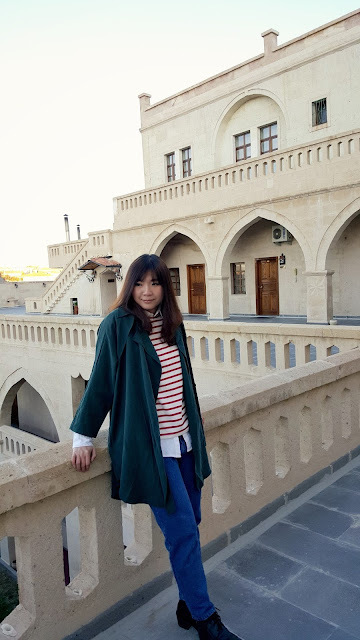 This picture was taken at the courtyard where we were on the way to the main restaurant which provides huge variety of food for breakfast and dinner in buffet style. There is free wifi both in the lobby and in the room itself, but wifi in the room wasn't that great compare to the line in the lobby. 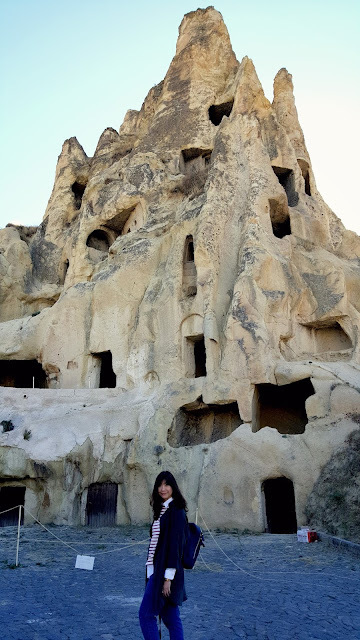 If you plan to have a trip in Cappdocia, you can consider to stay at this hotel and I am sure the caves experience is one you will never forget in your life time. 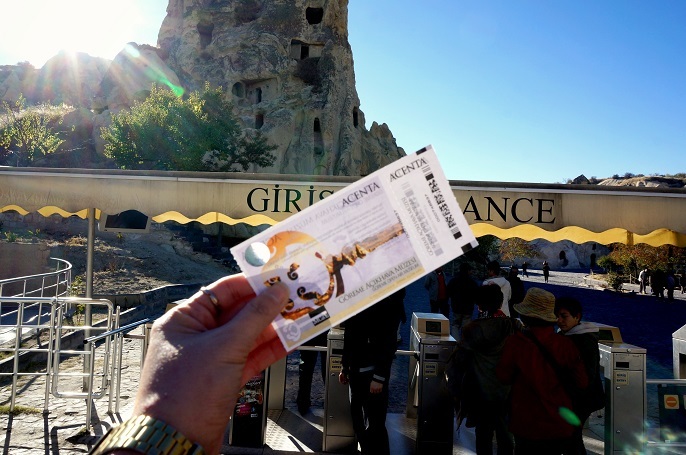 Goreme Open Air Musuem is an essential stop in Cappadocia. It's not very far from the hotel we stayed which only took like 10 minutes drive. 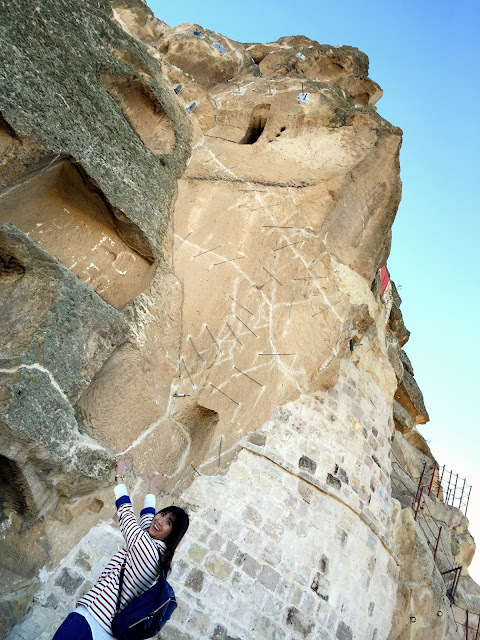 Goreme is a village where the Christian used to stay and pray here when they escaped from the Judea. 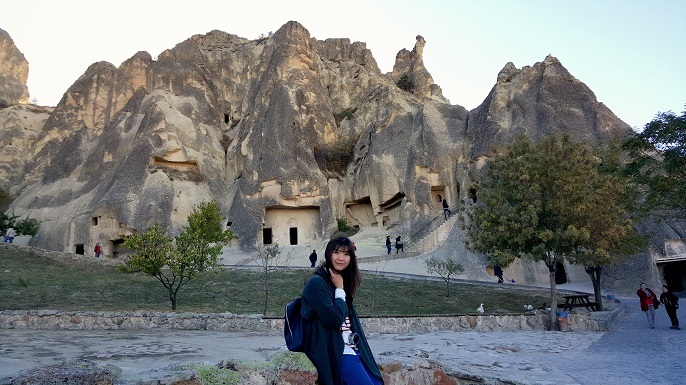 At here, you can see how the whole village have transformed the original caves into habitable spaces with many structure carved out of caves. 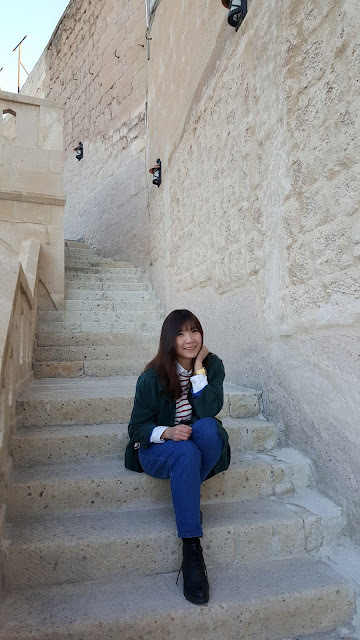 It's a very well preserved heritage place which tells a rich history of the region. 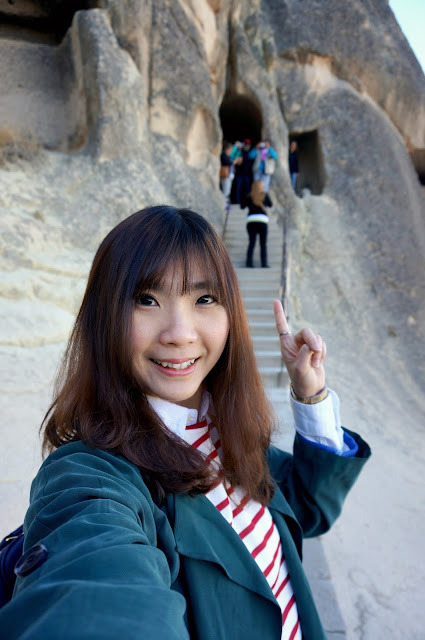 There are about 13 Christian chapels are carved out of the caves. You can't actually define which "holes" are actually the "real" site as the whole place looks more like a big piece of art alone. There are a few chapels inside the caves can be visited; some are free of charge, but some needs to pay extra. However, all insides are not allowed to take pictures. It's a very nice place with a mix of history and nature. If you are Christian or you are interested in the region history, you would probably find it great with the history backgrounds. If you love nature view, I am sure you will find beauty everywhere here. Me and my parents had very good time here. It's not a traditional museum, but more on outdoor with outside walking. So, be sure you have comfortable shoes for a lot of steps to take. 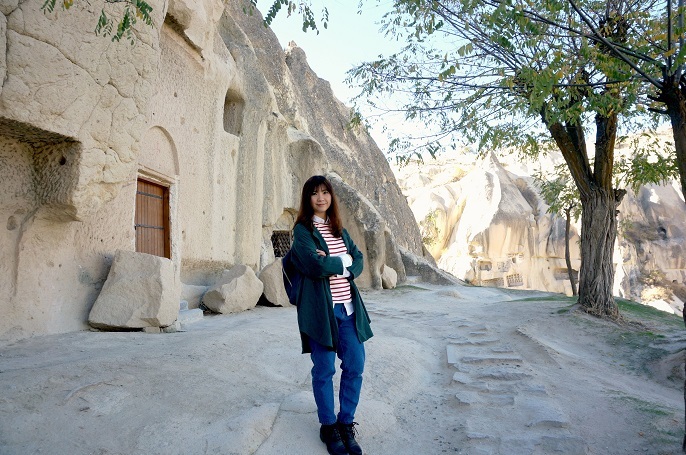 This museum is one of Turkey's top highlights and it's Cappadocia most famous! 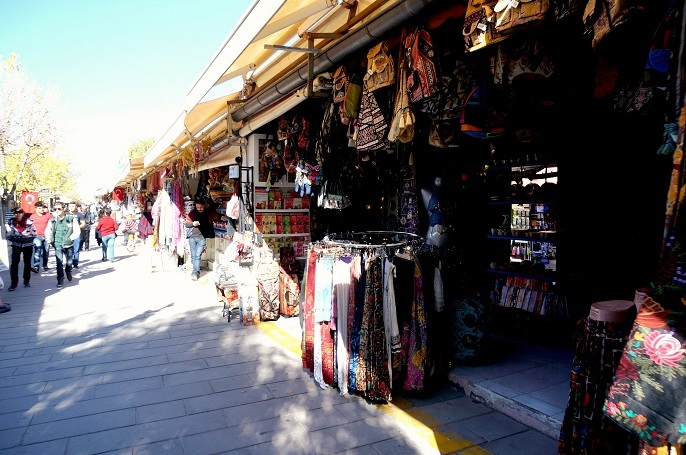 There is a street market with few souvenier shops outside the museum, along the way to the carpark. 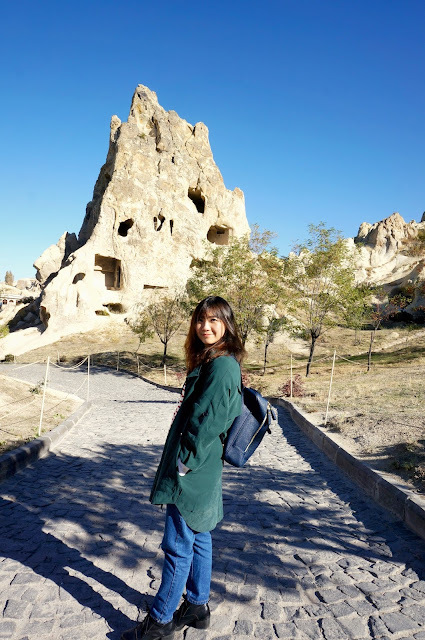 Here's the Ortahisar Castle in Cappadocia which did not cover in our itinerary. 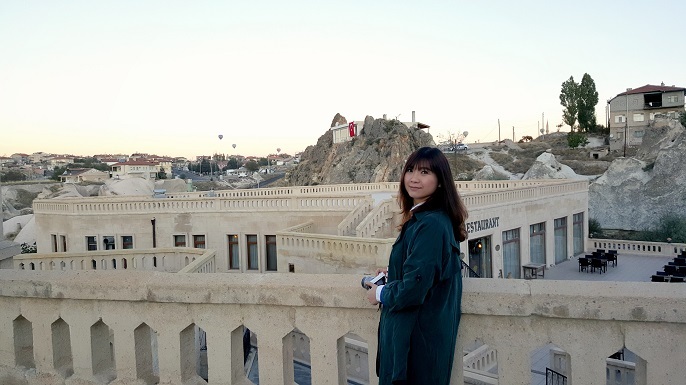 Since we were given free and easy time during the afternoon, so we spent our time at this Ortahisar Castle which located 15-20 minutes walk from our hotel. The entrance fees is 5TL which is about RM7.20. I think it's pretty reasonable amount to spend at this tourist attraction. 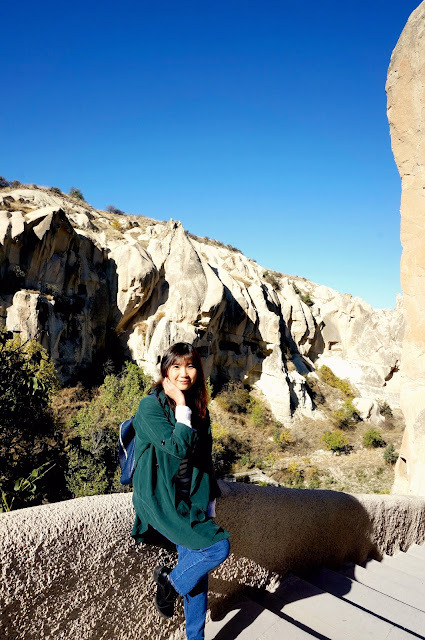 It was lucky to know a new friend, Jian during the trip. I wouldn't be able to make up to the castle if I didn't know him as this castle needs a lot of climbing and I doubt my parents would come here with me. It took me quite a while to climb up to the top as I have a fear of heights. 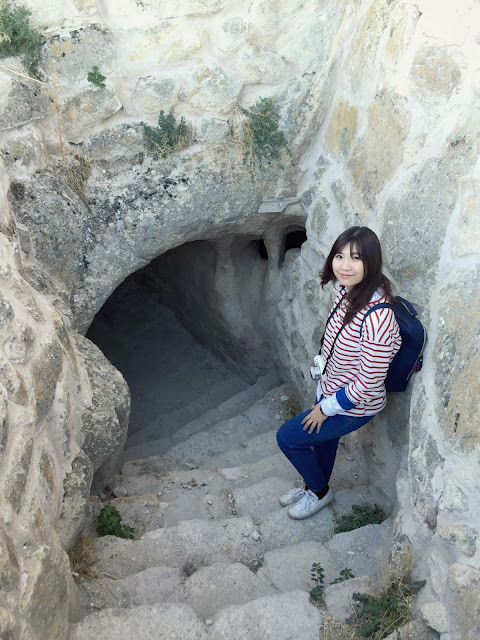 I have to hold the handrail very tight as it is a bit shaky and also pay very focused on my each steps as the safety wasn't very good. As you can see from the picture, all inside parts are caved and with a narrow tunnel to pass through. 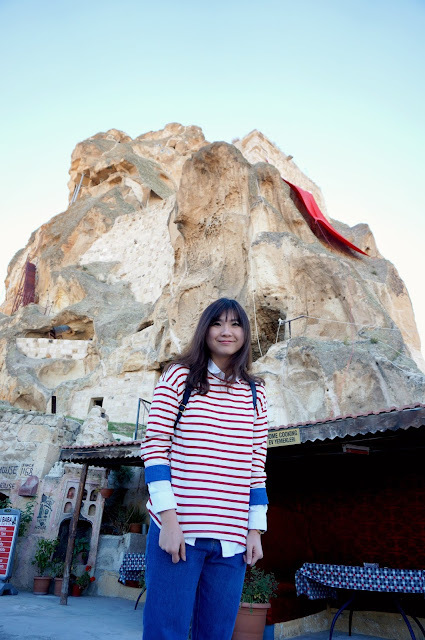 This huge mountain is located inside a small village whereby you will across some restaurants, cafes, local shops along the ways. 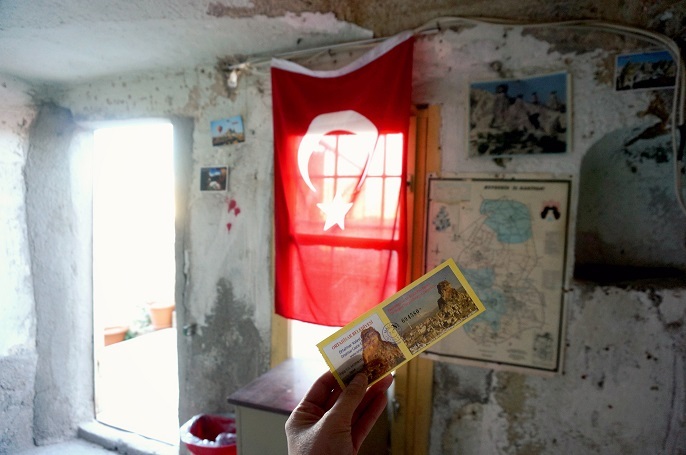 #hehe I had my first full cup of Turkish coffee at here. 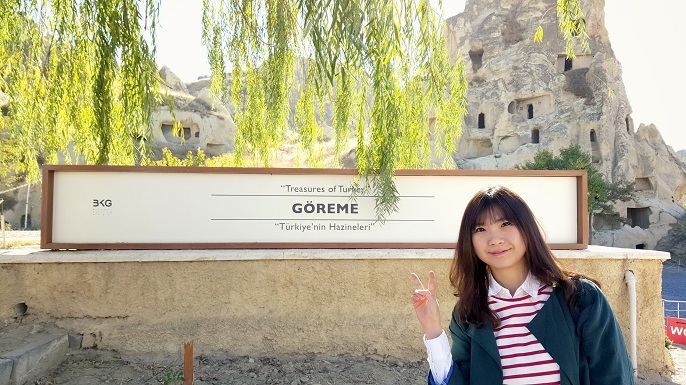 I will compile all the foods I had in Turkey after the attraction posts, so continue to stay tuned here ya! 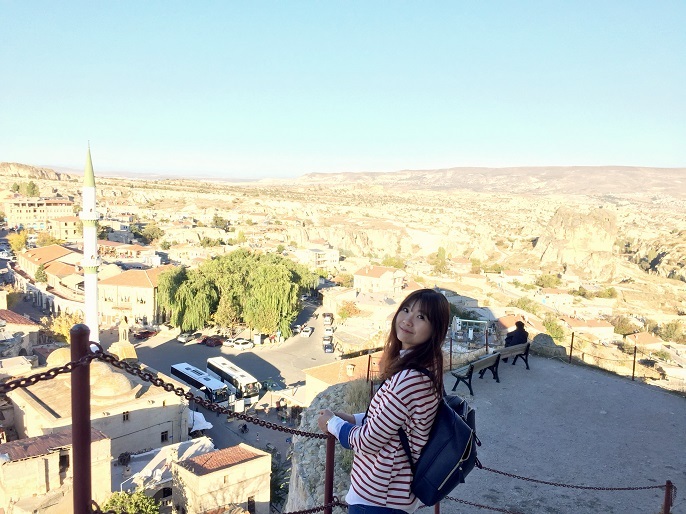 It's truly awesome view of the true Cappadocia landscape., the entire city was so close and so real in front of me! We did not have any history background about this place as we came here without our tour guide. However, on the google check, it said that the total height is 86 metres. There isn't much things too see over here, yet it's a beautiful place to enjoy the different kinds of stones mixed in the caved houses. 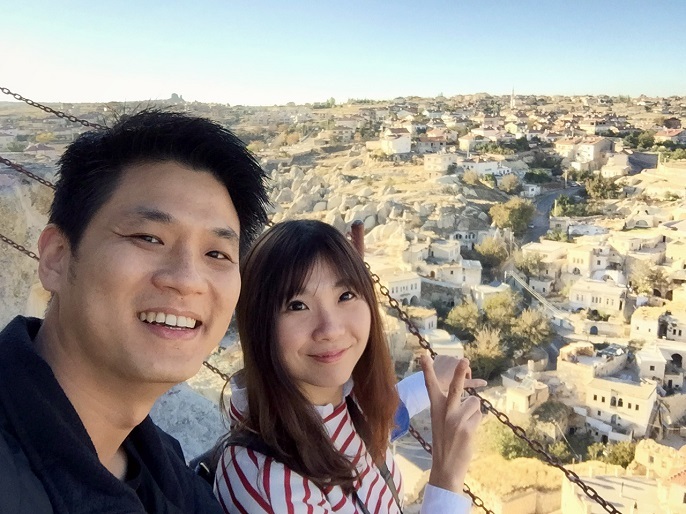 And the best part to be on top of the castle is you can get a 360 degree view of the Cappadocia city. I couldn't stop taking pictures at every angle as all have different vision and look. 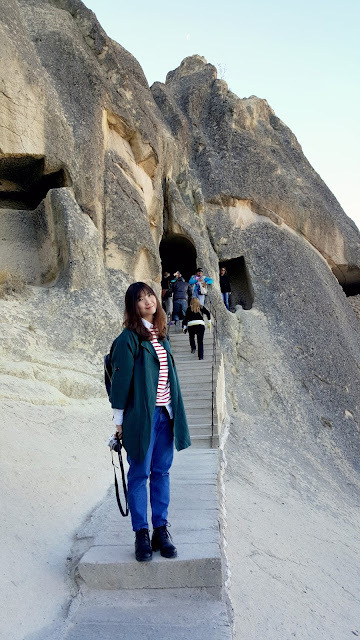 We went there in the late afternoon at about 4pm and I think that's the best time as we can see the beautiful view without the big sunshine and also the overall colours of the surrounding looks just stunning! Took this panoramic picture using Jian's new Iphone 6. At night, after our dinner, we went to a special Turkish Night Show. 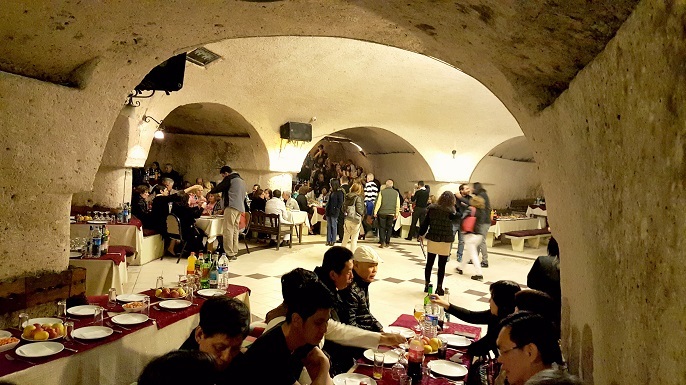 All drinks such as wines, beers, whiskies, and snacks are included in the entrance fees. So, what you need to do is just bring yourself and enjoy your night with the local traditional dance performances. 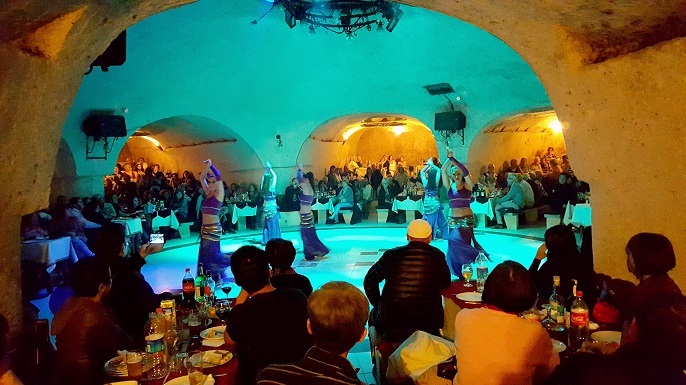 There are few performances throughout the night like folk dances, show of the traditional way in which a girl gets married in Turkey, drum shows, fire dance, Caucasian dance and so on. All the live performance are completed with their traditional costumes. It's such a great way to have all free flow drinks while enjoying the performances, and you can also participate in some festivities if you are interested. 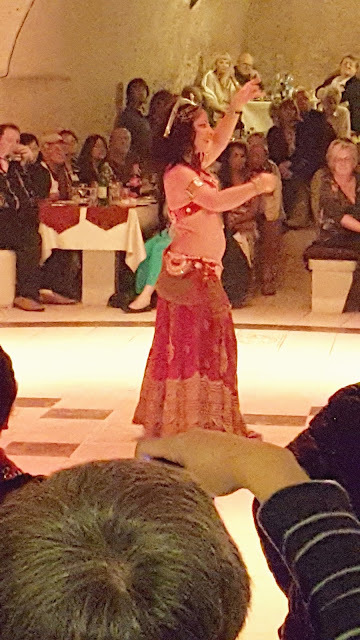 Belly dancing is the highlight of that night. 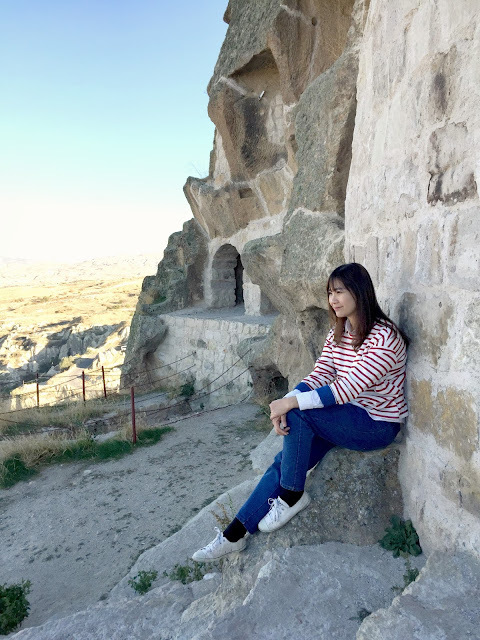 I really enjoy my trip in Cappadocia. 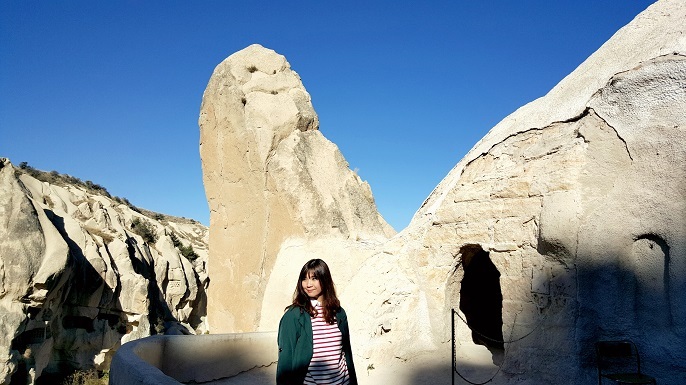 I think a Turkey trip is not complete if without taking a venture trip in Cappadocia. The entire experience is just so unique and lovely that I would not mind to visit here again.